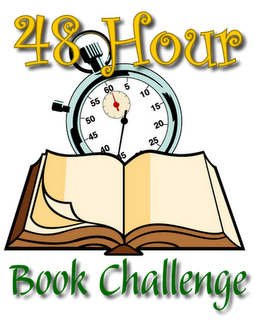 Have you signed up for the Seventh Annual 48-Hour Book Challenge?! Pam at MotherReader is bringing this wonderful event back for its seventh year. The weekend will be June 8-10 and if you've never participated before, be assured that it is great fun. I will definitely be joining in, although I may not be able to devote the entire weekend. That's okay! One of these days when I'm not super overwhelmed with all the things we're already offering at the library, I totally want to start having Preschool Dance Parties just like Adrienne (and many others who have done them!). Looking for programming ideas for middle schoolers? Look no farther. Drea at Book Blather has ya covered. Marge at Tiny Tips for Library Fun (are you reading her awesome blog? If not, you should be!) considers whether traditional Summer Reading Club school visits are actually worth it. There's definitely some food for thought there. What have YOU been reading around the interwebs?